A Mid-Semester Workshop with What’s Your Game Plan? Games and simulations are powerful tools for learning. In this boot camp brainstorm, BMCC’s Prof. Joe Bisz (English) and Prof. Kathleen Offenholley (Mathematics) break up professors and graduate students into design teams whose job is to enhance an exercise with the mechanics of popular board games. 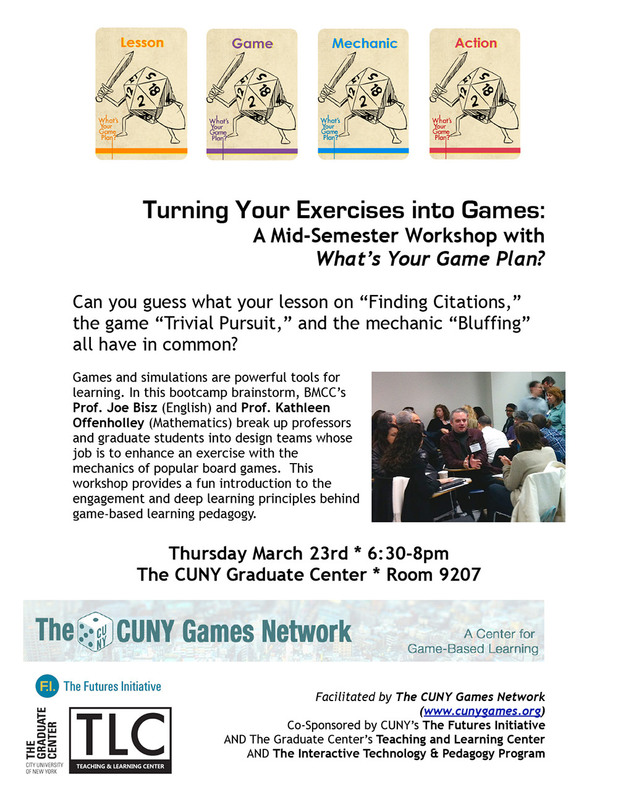 This workshop provides a fun introduction to the engagement and deep learning principles behind game-based learning pedagogy.